In July 2017 we were lucky enough to have a work experience student from Trinity Anglican School, Finn Russell (Year 10). 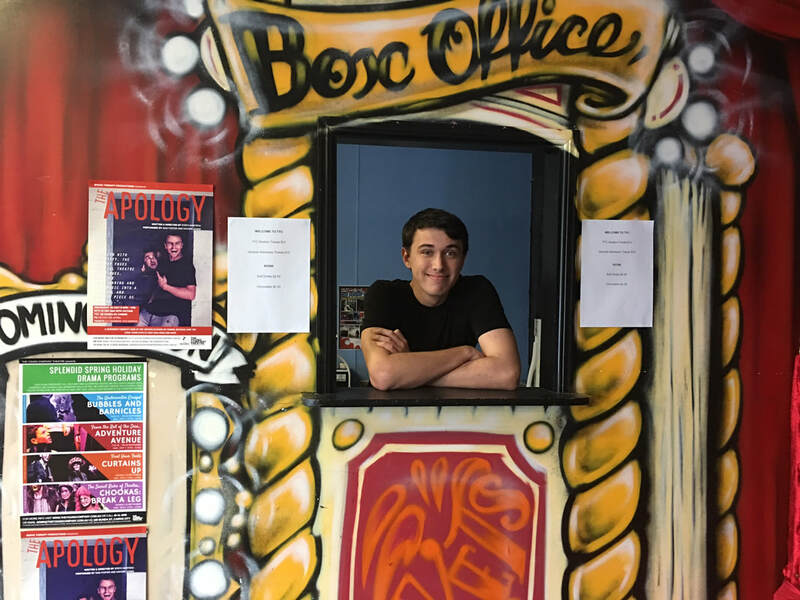 He was supported with his work experience program the Vocational Partnerships Group, as well as his wonderful teachers, Ms Shannon Saunders (Drama) and Mr Andrew Saunders (English). Over the course of Finn's work experience program he explored all of our TYC Creative Programs and also worked on his own creative project to write, record and publish his own short radio play. Click here to read his treatment and script. Click here to listen to his character vocal abilities. Finn also began work on curating a playwriting program for TYC to start in 2018. Finn has a passion for writing and was awarded a Tropical Writers award a few years ago. Congratulations Finn on dedicating yourself to our work experience program. We are looking forward to working with you further.